Claude Dozorme revisits Le Thiers® with an original opening and closing mechanism. Lock the blade by pushing the latch down. The blade is locked and the knife is closed. 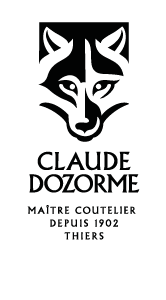 Thus, this opening and closing system designed by Claude Dozorme manufacture is very reassuring. 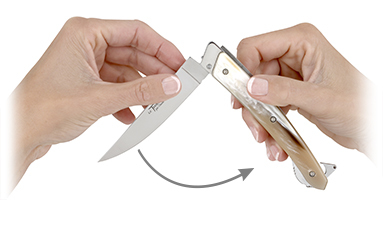 Indeed, this system perfectly blocks the blade of the pocket knife in opened or closed position. 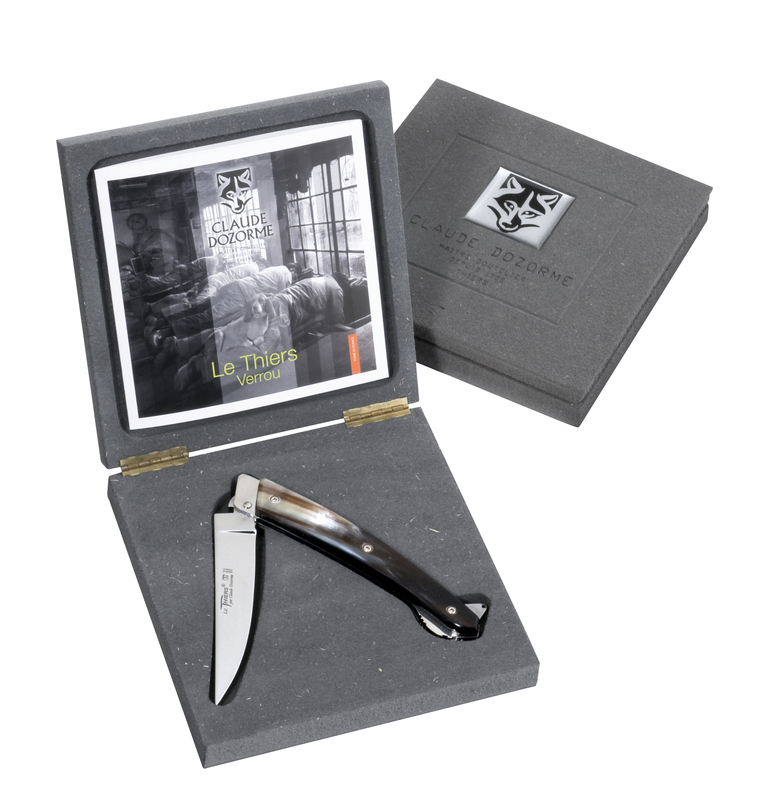 The shape of this pocket knife is Le Thiers® shape, made only in the Thiers (French capital of cutlery), where the Claude Dozorme’s Cutlery is located. 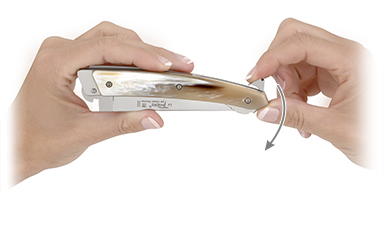 Indeed, the Master Cutler has revisited the opening / closing system of this famous knife to make it an original, innovative and unique pocket knife. 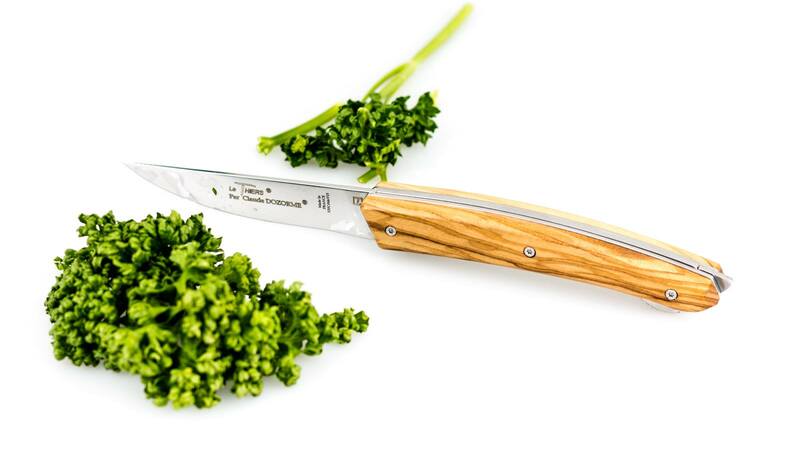 Moreover, Le Thiers® pocket knife blade is made from X50CrMoV15 steel. 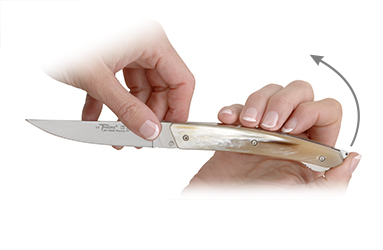 This very high quality steel gives this pocket knife an excellent cutting performance and it’s very easy to resharpen. 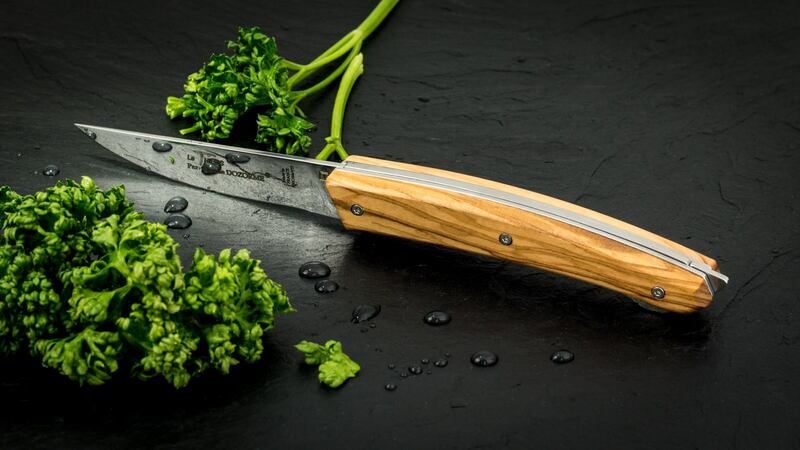 Made in our workshops in Thiers, the French capital of cutlery, our pocket knives are the result of a century-old know-how. 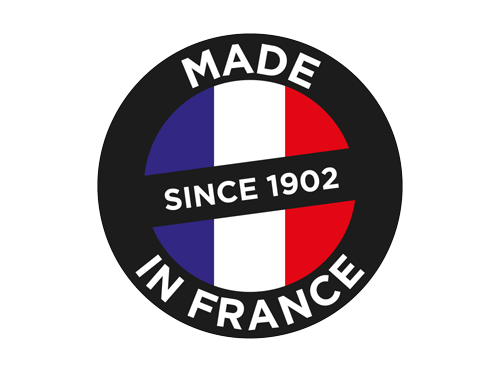 We guarantee 100% French knives, crafted and made in the respect of cutlery tradition.